Budapest, Hungary - Váci U.77. Our brand new hostel is located in the most famous walking and shopping street of the centre of Budapest. The small and medium dormitory rooms are clean and comfy, perfect for individuals or small groups. If you are looking for high-quality accommodation with a youthful, friendly atmosphere at an affordable rate, look no further! We offer you the best value in the city. Within walking distance you will find many bars, clubs, cafes and restaurants. Our hostel is the best choice if you want to be at the vibrant heart of Budapest and collect first hand experiences of city life. We are open 24 hours, so our helpful and friendly staff are at your service at any time. 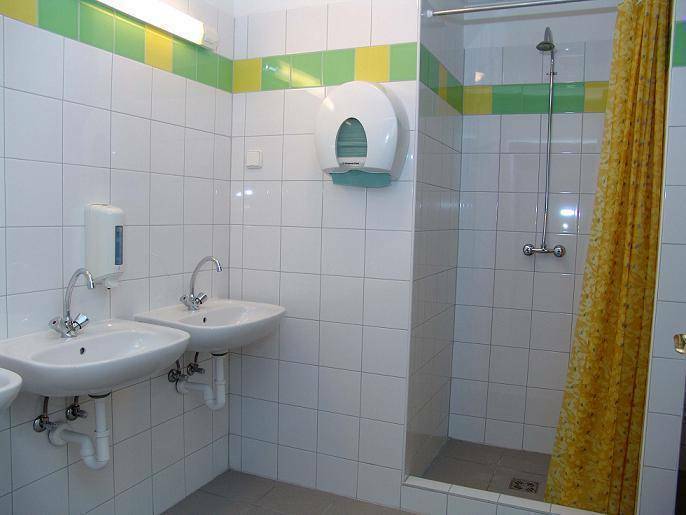 We offer comfy, spacious, bright 4-6-8-bedded dormitory rooms with shared bathrooms. Our colourful and friendly dormitories are the best choice for groups as well as single travellers because you literally open the door to new friendships. The rooms are fitted with all the modern conveniences that make a backpacker feel at home, including new, comfortable bunk beds and individual lockers for each bed. We provide all bed linen free and towels can be rented at the reception. We have rooms with wheelchair-friendly facilities. Stroll along our scenic street - Váci utca, but eat elsewhere, unless you are rich. Cross the nearby Freedom Bridge (3 minutes away) to explore the Citadel on top of (and the cave church within) Gellért Hill. Check out the famous Gellért Baths. Walking & caving in the Buda Hills (ask at reception). Eat up! There is more to Hungarian Cuisine than just Goulash (and btw Goulash is actually a soup of course). Hit the streets! The centre of Budapest is very walkable- note the eclectic architecture above your head. The spacious lounge area and our helpful, English-speaking receptionists guarantee you a smooth check-in and a warm welcome. After a long day of sightseeing, feel free to let your hair down and compare notes with other travellers in our common room in the cellar. Within walking distance you will find many bars, clubs, cafes and restaurants. Our hostel is the best choice if you want to be at the vibrant heart of Budapest and collect first hand experiences of city life. otherwise we would charge the card with the amount of the first night. Otherwise we ask our guests to pay cash, in Hungarian Forints if possible. Since the hostel is in a very downtown location, it is close to the Danube, most sights of Budapest, as well as many shops and restaurants. Within walking distance you will find the famous Market Hall, the Freedom Bridge and the National Museum, but many other sights of the city are only a very short journey away by public transportation. From Keleti Railway station take bus 7 (5 stops with black 7 bus, but with red 7 bus, only 2 stops) to Ferenciek tere. Walk 20m and turn left onto Váci utca. Take the walkway under the road then continue along Váci utca to the hostel at number 77, on the corner of Havas utca. From Kálvin tér metro station (M2 -blue): walk towards the Danube; Turn right at the 3rd corner by Burger King then straight ahead to Váci utca 77. From the airport catch the reptér bus which will take you directly to the end of the blue metro line: K&#337;bánya-Kispest. From here take the metro to Kálvin tér then walk towards the Danube; Turn right at the 3rd corner by Burger King then straight ahead to Váci utca 77. You will find the hostel on your left. If you send us an e-mail with your flight details in advance, we can organise your pick-up at the airport by our own shuttle company. From the international bus terminal (Népliget) take the metro to Kálvin tér station then walk towards the Danube; Turn right at the 3rd corner by Burger King, then straight ahead to Váci utca 77. You will find the hostel on your left.